Is there a better alternative to Badia Duplica for QuarkXPress? Is Badia Duplica for QuarkXPress really the best app in Desktop Publishing category? 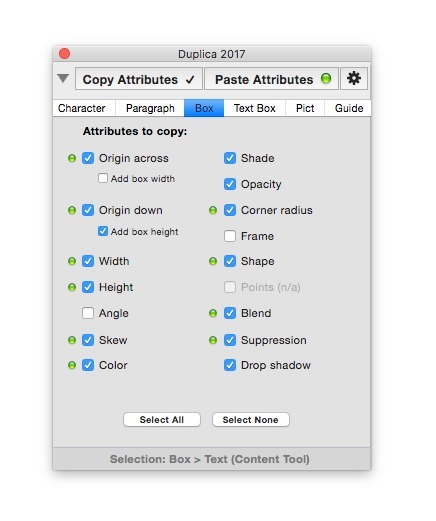 Will Badia Duplica for QuarkXPress work good on macOS 10.13.4? 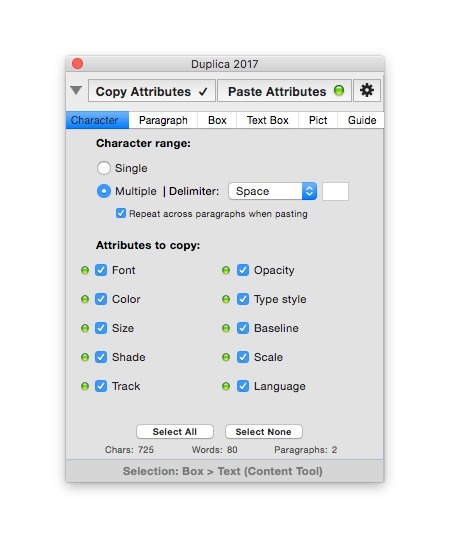 Badia Duplica for QuarkXPress allows you to sample and apply text and item attributes using multiple clipboards. 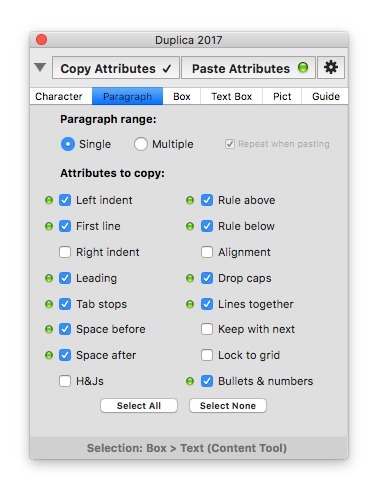 Simply choose the attributes you wish to copy, and then duplicate the same styling in other parts of the document. More than 80 attributes are available to pick from characters, paragraphs, pictures, boxes, and pages. Badia Duplica for QuarkXPress needs a rating. Be the first to rate this app and get the discussion started!